So one of my absolute best friends is a yoga teacher. And one of the perks – in addition to being the “Teacher’s Pet” – is that I get to take her classes in the city and cheer her on! It’s so fun. I always love watching someone shine in their element. It’s a little glimpse of Heaven, if you ask me. And one of the things she does, is that she has you set an intention to think about during the class — A little something to think about during the deep breathing and focus. And so I always use that time to meditate on Jesus, and pray. And well, for whatever reason, this week, I decided that during the class, I would pray for my future husband, whomever he may be. For the first time, I think ever, I feel like my life is in a really good rhythm. Mind, body, and spirit. And honestly, it doesn’t surprise me that this feeling of wholeness coincides with the beginning of my new podcast, Oh What a Beautiful Morning! And this really is not meant to be a plug. It just is incredible how starting the day – even for just literally 5 minutes – and reading and reflecting on the Bible (which is what we do on the pod) — how it has completely changed my life for the better. My life feels completely at peace. Except for one gaping hole that has been tearing at my heart with extra fervor here recently, and that is the place in my life for my future husband. But anyways, back to yoga. It was your normal class – run expertly by my bestie, if I might add 🙂 And at the very end, where we close our eyes and are quiet for 5-7 minutes and just breathe, I began to cry. Yes, friends. 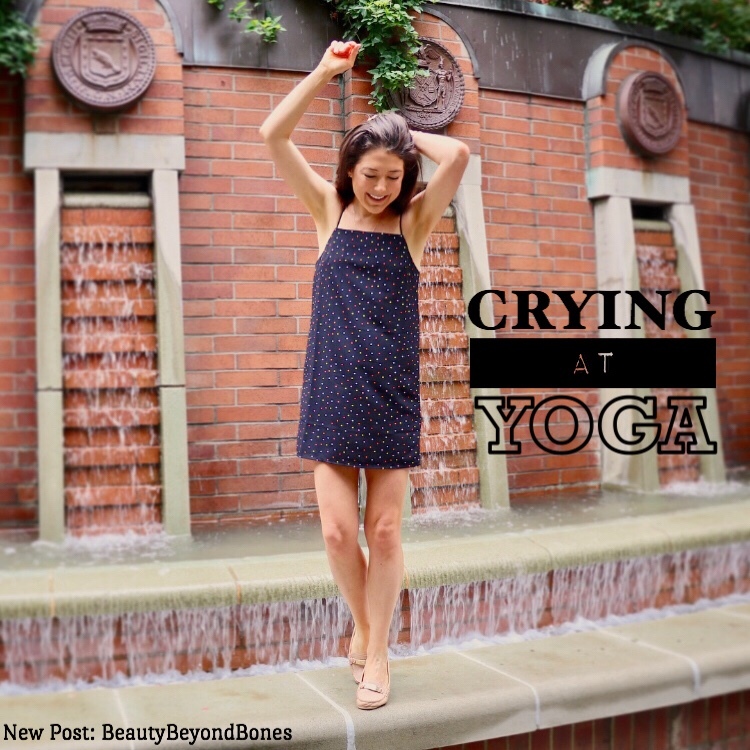 I was that girl – weeping in the middle of a packed yoga class. Talk about embarrassing! Mascara running. Flushed cheeks. I was the definition of a literal hot, sweaty mess. But I was just overcome with just this desire to let someone into my life. I am ready. I am ready to let someone in. And afterwards, talking with my friend, a little embarrassed that, here I was her guest, and I…well…brought the waterworks…she gave me some of the most beautiful words of encouragement. This blog has truly been a journey. It’s hard to believe that it’s been going for over three years now. And what a ride it’s been. But truly, the absolute hardest, most difficult aspect of my recovery has been to let someone in. To open up my heart and my life to another person. Feeling undeserving of love, ashamed to let anyone too close, I have stiff-armed my way into a situation that frankly, I am dreadfully tired of. My life is full of love from so many different places: my friends, my family, this very blog family. And I have so much love in my life. But I want to share my life with someone. And I think I am finally, finally ready to open my heart to that possibility. I think we get to the point in life, where we reach our limit, where we get too tired, of being sick and tired. Or in my case, tired of the walls – or fortress – I’ve built around my heart. But this time, I’m going to be going about this differently. I’m giving it to God. The transformation I’ve had this past month, that has come about from giving my free time to God, and truly committing to making Him a priority every single day, has given me the perspective to see love differently. I’ve placing my love life in God’s hands. I’m going to follow where He leads. Be open to whomever He puts in my path. And stop working myself up into a verklempt mess that cries at a yoga class. I’m going to trust Him. I’m going to listen to Him. I’m going to welcome His promptings, and seek His guidance, even if it’s not always what I would typically do. “Keep working on yourself, Caralyn. You deserve love.” My friend is able to speak to my soul in ways that only a friend of twenty-something years can. I feel a bit as though I’m in a freefall. Like I’m out of control in the best way possible. But I think it’s because I’m on the cusp of an entirely new chapter in my life. That’s the thing. So often we’re the last to the party. Everyone else can see it, but in order for us to come to understand, we have to go through the process. Do the work – just like my best friend encouraged me with. And it turns out that doing the work, meant actually humbling seeking Jesus, and giving Him that which we are desperately holding onto. So anyways, that’s where I’m at for now. I’m open. I’m ready. And I welcome Jesus’ plan to come to fruition in my life! Previous Post Blueberry Muffin Bites! When we put our trust in Christ, we cannot go wrong. Whatever His will may be…we trust. Caralyn, I know Jesus will lead you. Just let Him. i am super tired of being alone too! ALL MY LIFE and yeah i have had eating disorders too. and i hope you find him. i hope i find her too. Yeah, Fr. Chad Ripperger talks about that Yoga stuff being bad on YouTube here and there. Do you think you will need to give anything up? I guess I don’t know what you mean! So sorry! It was a pretty ambiguous question. I suppose what I am asking is there a point in your desire to be married where you give up your website, podcast or, in essence, those things you have worked on up until now? Minus the yoga, I feel like this could have been written by me. The overwhelming feeling of it’s time, the tiredness of being alone – the difficulty le​ttin​g people in. I keep thinking I’m ready but then bolting and I don’t know if it’s because I haven’t met HIM yet or if I’m still dealing with how to fit a husband into my reality. This was really good to read though. Thanks for posting it. This is the second time I have heard someone speak about praying for the people in our future! And also – the feeling that the time is NOW for THE relationship is mirrored in pagan and new age circles as well. From what I understand, and what many believe, many are able to meet with their Twin Flames in this incarnation. Entire blog post is awesome. The woman I was talking to is Christian also and she had received the guidance to pray for her son’s future wife. Which I had never thought of doing. But which is genius. That’s so awesome. Yes! Genius!! She was very inspiring to talk to. Some people just blab bible verses with no real belief behind what they are saying – she was truly filled with the Spirit. Just a joy to talk to and pray with someone of her spiritual caliber. and omg i love audible! I either do books on tape or guided meditations to fall asleep to. Addicted to Frank Baum’s Oz stories at moment and they’re all free on youtube. Keep the Faith! It took a long time, but one day, visiting a friend hundreds of miles from where I lived, I visited with her a foreign language bookstore where I had ordered books in German for years. Working at the cash register was my future husband. We have been together 16 years! You never know when and where, but just trust it will happen. I know that tired feeling. I remember crying on NYE and praying to God that I didn’t want to be alone anymore. I felt that it was time. I was dating here and there, but I wanted to be with someone special. That night I met my future husband. We now have a little girl. God knows our heart’s desires. He’s got your back. Wise girl. God cares about this issue in your life. No doubt He has been prepping a special guy for your particular overall puzzle of life. Keep praying. I’m glad to see this change in your attitude toward yourself. I and so many others have told you directly and indirectly that you are a good person, worthy of a place in the community, worthy of people’s love , that we all love you! Like my daughter who needed help with depression, it didn’t happen until she was hurting enough to know she needed the help. Not knowing it through us, but knowing it in her own heart. Self is the hardest thing to see! Crying – do you understand what tears are? They are literally a chemical “flushing” of your brain. When emotions create too much of a chemical imbalance in your brain, tears are what flush out the imbalance. It’s known that the chemical composition of tears changes with the reason they come. Sound to analytical? Well, I think it’s beautiful. I understand now how well God designed us that we have an automatic system to help with emotional control. Sometimes we don’t perceive our own emotional condition until the waterworks start! We don’t appreciate the seriousness. Your tears were God’s designed system telling you what you were consciously denying; an emotional imbalance. Tears = short term solution. Long term solution? Fix the actual problem. Which is what you are now doing by starting to deconstruct the walls around your heart. STARTING TO. You’ve made the decision, but they won’t fall easily. Your behaviors have been in place a long time. Give yourself some slack if your resolve wavers or your actions don’t immediately agree with your resolve. You are a strong, intelligent, and loving. I have no doubt your recovery will continue successfully with this next step! This is a truly beautiful post, because you were open, and made yourself vulnerable in the sharing of your experience. My friend that is where the beauty comes from. This is clear evidence that God is working in you and through you. And it’s so beautiful to see your trusting in God. You are exactly where you need to be. Whether you realize it or not, you inspire so many people. Dang…. this whole post just sounds like dad in heaven. Peace and vulnerability. It’s apparent God is doing a work in you and that the god who sees ahead and provides will do likewise with you. I need to share this post with some peeps…. i mean i always share your posts. Keep seeking the kingdom of God, being faithful and you’ll bump into a fella doing the same. God bless you! Before I was married, Genisis 24’s account of Laban seeking a bride for his masters son was always an encouraging reminder that God has a sovereign wedding plan for us, as improbable as it may be. How this fills my heart for you 🙂 I’m so glad you have opened up on this blog, sharing your journey, the highs and lows. God continue to be with you, my sister in Christ. Praying ahead of time has really cleared some paths I never knew I would tread, and I’m so thankful how God used me during those times of prayer to prepare me. My mom has prayed for my husband since I was born, and he gave her a run for her money “so to speak” or run for prayer talk when we first dated, but he has transformed so much he is not the boy I dated, but he is the man I have married. I wish you a godly man who lifts you up as he should and can encourage you to keep giving your all to God and others. I used to pray nightly that the first girl that attended Church with me would be the girl I married; well Pat was the first girl that attended Church with me. She even became an Anglican and Christianity is very much a part of our love. My favourite old testament book, Ecclesiastes reminds us that life is never without God-not even for a moment! Three days after that first date we were kneeing together in prayer in the Church of the Redeemer, an Anglican church in Toronto. For everything there is a season, and God is in the midst of them. Moving to the false horizon. Featured, just above the horizon. Oh Caralyn! I am praying right along with you for God to ready the heart of a very special man. Praise be to God for the faith he has given you and for the leap you have taken! Thank you for sharing this vulnerable yet extremely moving post. I enjoyed reading this. It was relatable and inspiring. Thanks for posting. God bless you, dear open and vulnerable child of God. He has you in the palm of His hand – and at the perfect time, if it is meant to be, He will send to you the person worthy of your love and trust. Your openness is beautiful. May you be open only to His leading, and not to someone whose intentions are not as pure as yours. Be patient, dear one, be patient!! Dear Beauty: I’m so glad you are opening yourself to the Masters Touch. He is aware of your hearts righteous desires, and with faith, patience and your working to prove your intentions, He will bring your divinely appointed sweetheart into your circle. He may not be beautiful or rich, God looks at the heart, not the outside. So be open to the feelings of the spirit. Remember James 1: 5, 6. And by the way…the challenges we face in life refine us and give direction through the lessons learned. Be grateful God Loves you enough to have given you so many refining moments. I feel the same way as you except that I would like a wife instead of a husband. I have been alone my entire life. I was never aloud to have friends growing up, and they have become hard to find nowadays. I know that you will be a big blessing to the man who finds you. As for me, well, I tend to feel my hopes get dashed, but I try to keep my faith strong. Thank you oh great friend. Giving it to God… the absolute BEST plan ever! The reality is as we age that we come to realize that things never happen when we expect them to take place. As we are all sinners God doesn’t really get to concern about what any of us want and when we want it. I raised in a home that getting married was not a major goal. If it happened it happened and if it didn’t that was ok too. I was dating but marriage just didn’t seem to be in the cards. Then one day I was walking out of a christian book store and picked up a singles dating paper ( long before eharmony etc.) I had a job in which I was working all night by myself. I started answering some ads just for fun. That was over 20 years ago. One of those ads I answered would later become my wife. I left my hometown for her and have never regretted it. The thing is that when I picked up that paper that day I had no idea it would change my life forever. There wasn’t any of this online dating stuff. Actually I think it probably helped because we had to actually write letters. Always keep in mind that the only person who you will spend the rest of your life with is you. Now as we are in the final stages of our lives we look back and agree that it has been one heck of a ride! The thing is that when I wrote to her the first time she said wrote back and said I was to young for her. ( She is about 10 years older) So we stopped writing then about 6 months later she wrote and asked if we could go back to writing? I figured why not? When we decided to get married I thought it was to go talk to her father about it on a walk. As we kept on walking she was next to her father and as we got closer to her parents home I walked up to her father and I talked to him about what we’re going to do ( both of us were well past 30) we had gone through all of scenarios about how would react and of course we forgot about the reaction he would have. He said well we need to go talked to Maggie. They had been married for over 50 years so logically for him that was the thing to do. We walked in and one of them put a chair in front of her and told her I needed to talk her about something. I felt like digging through the floor. She was ok with it but asked me to promise her one thing and that was to stay in the faith that my wife was raised in. I gave her my word and I won’t budge on that. Of course by now they are both gone. Being married a long there are times that you wonder what was I thinking? I think faith is a big part of it. We can laugh at just about anything. We really enjoy just hanging out. If your spouse is not your best friend then it will not end well. We always have each others back. We never embarrass each other in public. If she needs to talk then whatever I am doing stops. It is truly a unique love story . She is not well and that story is a miracle which I would never put on here. Take care of yourself. You are very brave to open up like this. I have done the same on my blog. But I hoe you found it cleansing and healing. You are wise to leave the choice up to Jesus. You are a fine young woman. You are an amazingly honest and beautiful person. Beautiful in and out. This blog is a kind of prayer in itself. It acknowledges everything good comes from our Creator and He always listens. Sometimes to answer immediately to that prayer of faith, and sometimes to wait until the right situation arises to be of benefit in your quest for eternity. I’m pausing now to add my prayer to yours that you find a person who is a committed Christian, because a committed Christian will be committed to you for life. I really like to read your stories … your openess is refreshing and your honesty is encouraging. I will pray with you finding the one sent to you by God. When I read this post I closed my eyes and prayed for you. Such openness can only be described in one word: Godly. May God grant you the desire of your heart dear Caralyn. Thank YOU!!. May the Lord bless you richly. Love you. Good for you Caralyn! I pray God gives you the answer to all of your hopes and dreams 🙂 And may we all reach that point where we give over whatever it is in our lives to God to control. God Bless! Oh, if I were only 50 years younger, I still would not be worth of you. May I suggest you read some of your older posts. Your advise looks spot on. You may already listening, and not acting on what you hear. Love you John. I’m thrilled for you! I’m also re-committing to more intentional prayer – At least once in the car, each way during my daily commute. It’s helped me lessen my anxiety about many different things that have popped up recently. I also had an amazing phone conversation with one of my college roommates this past week, something that we haven’t done in nearly a year. It was refreshing to catch up with her. We talked about our families, marriages, her recent mission trip experiences, and the debate about having children. She and her husband are thinking about adopting, which I find a wonderful opportunity for them. I have added them to my prayer list. I’ve found myself also praying for our future child or children, too. It’s a wonderful feeling. Sending love and prayers! I hope you have a great weekend! A lovely post, so full of truth. God will guide you to the one He chooses for you. It’s been 11 years since my divorce, and I tried the app thing, and got responses, but I just couldn’t bring myself to connect. They say that part of the problem when you’re single so long is that the next person has to convince you of why you need them. I, like you, have decided to leave it on the altar, and I have to be prepared that if He says the rest of my mission on this earth is to be done solo, that I’m okay with that. Blessings and continued success to you. The Spirit has stored your tears, and the workings of Heaven have already begun on your behalf. Thank you for continuing to share your story with us. Thank you for sharing your story. That’s some powerful insight. I’m so glad you’re leaving it on the altar too! I know that God has a good plan for you. I will definitely keep you in my prayers. I do understand that want for someone you haven’t met yet. I cannot fix that for myself, finding love, so I just stopped listening to it. Sounds like a plan. I hope it works for you. Praying that God brings the right person into your life. After my first husband died leaving me with two little girls I needed time for my heart to heal. But after awhile I too felt that loneliness. Even though I had two wonderful daughters, I had had a good marriage and I knew what it meant. I prayed for God and waited for His direction knowing I needed to be very careful remarrying with two little girls. In time, God brought me the perfect husband and perfect father for my girls. The Bible says He is no respecter of persons. If He did it for me, He can and will do it for you. I’m praying and looking forward to hearing all about how and when it happens for you. I believe Jesus has been preparing you, and drawing you closer to Himself than you have ever been, or thought possible. Holy Spirit has been working in you, and through you in ways where you have had opportunities to minister by way of writing, as well as living your life in front of many, showing and telling people that Loving, Honouring, Serving our Saviour and Lord Jesus Christ, to the Glory of God our Father, is the number one priority in your life. In turn, I believe God is going to honour you, due to your faithfulness. His desire is for you to continue to seek Him, continue to know Him better daily, and grow closer to Him. At the same time, I believe Holy Spirit is preparing a gentleman to be drawn into your life, and this gentleman is now seeking a deeper relationship with Jesus also, growing closer to Jesus through prayer and God’s Word, while he is seeking you through Holy Spirit leading. Below are a few verses of Scripture I felt led to give you at this time, suggesting reading, praying them, and believing them, as I will be for you also. I cried at my first yoga class. I was in a resting pose and my teacher said, ‘Now take a deep breath and say to yourself, “I surrender.” And totally surrender to life, to its rhythms, to the universe.’ It was like a damn breaking and everything that was wrong in my life could finally find acknowledgement. It’s moment I’ve never forgotten. I love the sincerity expressed in this write-up. Whenever God’s intention is set to manifest, He is known to stir up hearts. (…that the word of the LORD by the mouth of Jeremiah might be fulfilled, the LORD stirred up the spirit of Cyrus king of Persia, THAT HE MADE A PROCLAMATION…) Ezra 1:1. The stirring up of your heart, followed by your proclamation can only mean fulfilment is knocking! ☺️ Enjoy your CO visit! My hometown in Colo Springs! Caralyn, I’ve watched you walk through this struggle, and have felt very close to your heart at times. If you don’t mind, I’d like to summarize your story as I understand it. You grew up on stage, joyfully sharing yourself with the world. Something happened, and you decided to remove yourself from the world. You found Jesus standing like a shining star between you and self-destruction. You rested in his strength, gathering courage and self-belief. You tried (at first anonymously!) to reveal his presence inside you to the world, but feared that it would be corrupted and your story might fold back on itself. You are confident now that nothing will ever come between you and his love. You are ready to transmit that love to others without reservation, secure in the knowledge that he will always be with you. As all things true and beautiful gravitate to his presence, you will find there your heart’s desire. Yes, it is time. God bless you. Okay… no idea how I was NOT following you already!!! I just wanted to say thank you for continuing to come by my blog, even though I am not the most reliable of posters. It really makes my day when I see that you have liked one of my posts. Again, not sure how I wasn’t following you already, because I completely thought I was, but I have rectified the situation. Thanks for being so supportive <3 have an AMAZING Saturday! Hope all is well with you, I think I have said it before, but you are such an amazing human being. I am super happy that I found your blog. Not so much for the words (though they're also fantastic! ), but for your indomitable spirit. You are awesome. Your further husband will come to see, his time was well spent in search of thee, as your best friend he will come to be, but until then you still have me. You have chosen the best anchor of all, our Lord and Savior. He will guide you. One of the hardest things to learn after a deep wound is that when you try again, you may get hurt again, but that doesn’t mean that you shouldn’t try again. Modern life has just ruined dating. People are so wrapped up in themselves and what they want or need. Relationships function best when each person thinks of the other more than him or herself. At 59, I am still hopeful, but ronmance is not something I concentrate on. Incidentally, you might like my blog: http://www.chilkootpass.com. I write about Christian faith and conservative politics. Blessings to you. Keep up the great work! I see your situation differently. Like you I used to yearn to meet the love of my life. I am now at a place, after twenty years in a toxic relationshop, where I am so relieved to be once again alone. Cherish this time in your life. Perhaps try to see it as a gift. I wish I had appreciated my many years of being young, free and single more, instead of continually worrying, I would never meet the man of my dreams. Carolyn I have been right where you are. I know this sounds corny but I honestly believe this time in your life is a gift. Freedom is precious. When the time is right, I feel sure God will bring the right person into your life. I know whenever I have decided in the past to just go out and enjoy my life, rather than make seeking a partner my focus, was when things tended to happen. Forgive me please if you know all this but watch out for the relationship red flags. Loneliness is hard but I believe finding yourself stuck in a toxic situation is much worse. I think Dana gives great guidance about relationship red flags. I should add that Dana is actually a mental health nurse and in my view, she usually gives pretty sound advice. I absolutely LOVE this post. I have struggled with eating disorders in my past and fought God so hard on so much but the minute I calmed down and let myself fall, it was terrifying, but I saw just how much He had blessed me. I feel hypocritical because I go back to fighting him so often but I’m trying to stop that part of myself and just embrace his plan. So, your parents, and maybe even your anchor (mom) has probably been praying for your future husband a long time, and your Father, has said: “Ask, and it shall be given you; seek, and ye shall find; knock, and it shall be opened unto you: For every one that asketh receiveth; and he that seeketh findeth; and to him that knocketh it shall be opened.” Ask Our Father for the husband He has for you. Sometimes the way we imagine things is not quite the way God plans them. For instance, St. Francis heard the voice “repair my church” and took it literally, making repairs to a local building. But God meant so much more. Hey love! This was a beautiful post. I know first hand how hard it can be to open up. I struggled in this area when I met my (now husband.) I was brought to Him… we actually met in service. So I know that at the right time God will bring you to someone or him to you. And when that happens it will be such a blessing. That man will love you for you and accept everything about you. I know he will love you unconditionally and be an example of the Father’s love for you, as well. It was like that for me, so I pray that it will be the same for you. It’s such a blessing when we wait on God to bring us who we need. <3 Praying for you, love! Be blessed. I did yoga in the hospital where I spent 7 months recovering from anorexia … and the first time I tried the Child’s Pose, I sobbed like, well, a child! It had been a very stressful first week for me, and I was afraid of how my body was going to change as I gained weight and got my health back up, so when I curled up in that vulnerable position, it was like a dam broke loose. “I am tired of being alone…But I want to share my life with someone. And I think I am finally, finally ready to open my heart to that possibility.” Again, these are your words, not mine. Let me take you back to a time long before you were born. In 1982-83, I was a young man in the Single Adult group of my church. There was much talk about the “next step” in becoming an adult after finishing school and getting a career was obviously to get married. It was almost as if for those of us approaching 25 our warranty was about to expire. For those of us who were still in school, (and at this church it better be a good Bible College), it was time to get moving! Well, not wanting to disappoint, I got to looking. Long story short, I married someone who would make a good friend but not a good life partner. In fact, the marriage lasted only two years. I won’t go into the sorted details of who was to blame for what but the point is, even setting apart anything for which she could be blamed, the fact that I rushed into something just to avoid being alone was enough. You are a daughter of the King of kings and He has a plan for you that is unfolding and being played out in your life every day. You write about it and share it with countless people all the time, not to mention the lives you touch when you interact with people daily. You are a beautiful person inside and out and when God sees fit to bring your husband to you, it will be the right one. In the meantime, keep in mind that I already told you that you would make an adorable nun a few months ago. For what it’s worth, she and I both ended up finding the right person later and while she ended up going to be with the Lord a few years ago, I have now been married to my angel for 16 years. Your destiny is in the Father’s hands. I really hope you find that true love that you so long for! Keep setting those intentions and manifesting what you want! Yoga is a great tool! Good luck! Hey girl, you got this! Being lonely is hard but God’s better is always better! I prayed for my children’s and now grand children’s spouses since they were babies. All of my boys have perfect matches for them. It’s not always smooth sailing but they are all blessings to our family and I know God has the most special spouse out there for my precious baby girl. Keep praying and doing the things you love to do – Our God – is good at big plans. He’s may be working 19 miles upstream where you can’t see but together – you got this! Beautifully put. I understand the difficulty in letting someone in, and am glad you’ve found enough healing in Jesus to finally begin to try. I’m not sure if you’re familiar with Brene Brown but she’s got a very good book about that called the gifts of imperfection. If you haven’t read it, or any of her books you should check them out. Daring greatly is also good. As usual, I love it. Sounds like you’re ready and you’re certainly not the only one to follow this path. My wife and i watched this video (link below) last night, maybe you’ll find it encouraging. It’s Jen McMillian (from one of those big churches!) talking about her experience of being unmarried and childless with no obvious prospect of either changing… and giving it to God. Caralyn, thank you for embracing vulnerability and sharing your beautiful heart with us! I’m always uplifted when I read of your posts and your love of Jesus. I’ve been where you’re at and even though the right guy hasn’t walked in yet what I did find was more beauty and joy in the world. Hard to imagine, right?! We have to acknowledge a tremendous amount of beauty to get to the place where we are open to love – and as long as we keep our hearts that open and that aware of the beauty God sends for us, our joy will increase forevermore! At some point the right guy will become a part of that joy, (and what a lucky guy he will be!) but until then just continue loving life and loving the journey as we love you! 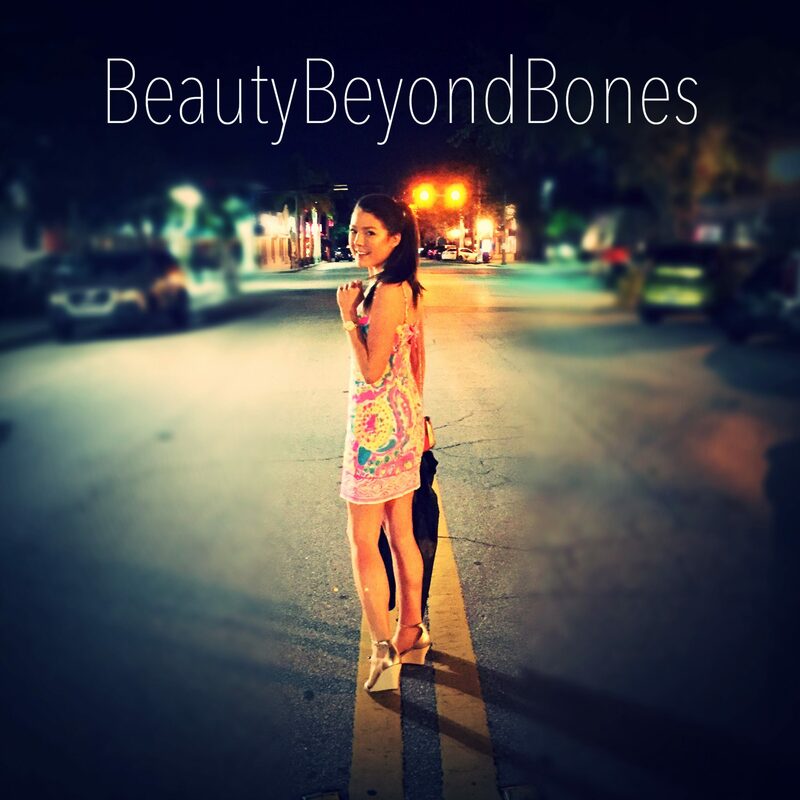 Hi BeautyBeyondBones, thank you for liking my blog, reposting without love. Read you Yoga post, interesting! Like your blog. I am honestly in the same season of life right now, I am tired of being alone, I am ready to share my life with someone. But something the Lord has been teaching me is that HE is in the Waiting! So I am trusting Him and waiting on Him for His perfect timing! This post made me cry when you first posted it several days ago. You and I are in the same boat!! I don’t know why you think you don’t let people in, though!! You blog!! That’s letting people in!! And you wrote your Bloom book!! They’re out there for us!! As a newer reader I just wanted to say I love your blog! I love your story and passion. Thank you for liking my blog post. I loved your Crying at Yoga. I am praying for you to find your fellow very soon. Superb, beautiful words , you write it so beautifully , keep it up 👍👍.